Complete AC Repairs Now or Later? Your home’s air conditioner was built to last a long time, up to 15 years in some cases. However over the years, you will need to arrange for regular maintenance. From time-to-time, you will need to have small AC repairs done on the unit to replace parts that experience common wear and tear. When you find out you need a small repair, you might debate whether or not to have the repair done immediately or put it off to the next year. Here are some things to consider before putting off those AC repairs. If you put off a small repair for a couple of months, it can lead to bigger problems. When the piece finally wears completely out, it might cause further damage on a more expensive piece. In some cases, a failing piece might cause another part of the air conditioner to work harder to compensate, causing it to experience problems. 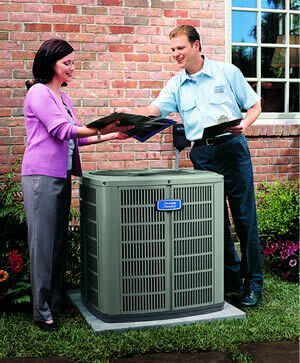 When your air conditioner is not operating as efficiently as possible, you will find an increase in your utility bills. If you put off a small repair for a couple of weeks or months, you might be shifting the work from one part of your air conditioner to another part and losing efficiency. When one part in your air conditioner is not working properly, the workload shifts to another part of the unit. The failing part of your air conditioner might cause the engine to run hotter and harder. This will shorten the lifespan of the entire air conditioner and necessitate replacing it months or even years sooner. At Kiwi AC & Heating, we are ready to tackle your repairs of any size. Contact us to schedule an appointment.